But you know what doesn’t help lower the cost of affordable housing? Spuriously blaming some of the organizations that are working hardest to create it in the most difficult situations, or implying that new affordable housing in booming central cities isn’t worth it. -The notion that affordable housing built by CDCs is more expensive than affordable housing built by for-profit developers is not based on any empirical evidence that I have seen. -First, there is no nationally recognized definition of the term “CDC” so we don’t even have agreement on which organizations are being criticized. -Second, I have not seen any studies documenting higher costs among nonprofits or community based nonprofits or CHDOs. Do such studies exist? -Third, the idea that CDC salaries are the driving force behind the high cost of affordable housing is laughable to anyone who has tried to recruit real estate professionals to work for a genuine, community-based CDC. Doing affordable housing in suburbs also has lots of other hurdles— NIMBYism and unsupportive local pols are a couple of the obvious ones. But also suburban zoning and how lots have been subdivided means that there are actually very few infill sites that are large enough to put together a property that can be entitled for a feasible affordable projects. This doesn’t mean, of course, that we give up trying to build in the suburbs, but it does mean that the costs might not be as low as for apparently “comparable” buildings. It’s also worth saying that transaction costs are just higher on affordable projects due to the layers of financing needed. 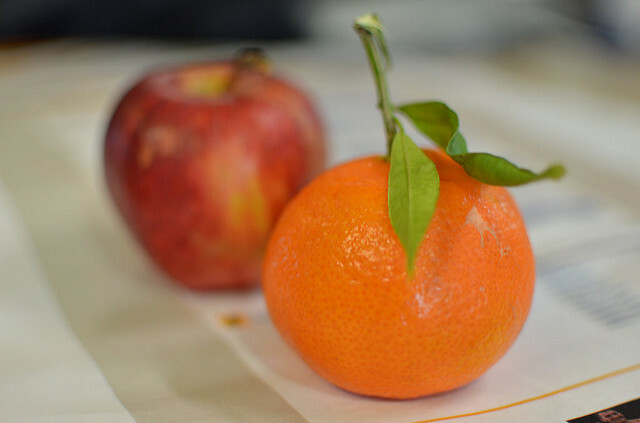 A simpler more consistent funding stream would help with that, but in the meantime, ignoring this reality when looking at market-rate project costs means comparing apples and oranges. Finally, since the majority of affordable housing units are currently built by larger developers who are often for-profit, it’s worth pointing out that CDC projects are often the ones that needed doing, but were too risky or had a low return for larger organizations, especially for-profit ones. They might be smaller scale, but have other important community impacts—renovating a long-vacant eyesore on a corner lot, for example, or serving a high-need population, or incorporating increased access to health care. CDCs are often doing harder projects with more ambitious ends—so it is not surprising that sometimes their costs will be higher. These projects might indeed be harder to pull off, but their effects are large. (Not to mention that their developer fees head right back into the community, not to generate profit somewhere). Let’s try to keep away from straw man arguments when we take on the challenges of making good use of scarce subsidy and increasing the available funding. We’re all in this together. Amen! These deals are tough to put together and cannot be compared with private market deals. Usually they’re trying to solve a social, environmental, and justice issue while facing political opposition with extremely complex funding. CDCs deserve credit and get bashed for inefficiencies or limited impact when they repeatedly pull the rabbit out of the hat and let politicians and bankers step in and cut the ribbons. The industry deserves recognition and support, period. It doesn’t seem like this critique is based on actually reading Myron Orfield’s report. The link above is to the CityLab piece written by a different author, which in turn references Orfield’s report at https://www1.law.umn.edu/uploads/ee/52/ee52be92915228d3a453e5428ea40c07/Subsidized-Housing-in-the-Twin-Cities-1-7-14.pdf. The report does analyze cost differentials between city and suburban subsidized housing programs, as well as the cost structures of Twin Cities non-profit housing developers. I only skimmed the report but I wouldn’t consider like the cost differentials of around $35,000 per unit to be outrageous. Especially since they are offset by locational efficiencies (lower transportation costs) that were not addressed in the report (a word search for “transportation” yielded zero matches), a significant omission in my opinion. A broader message of the report, however, is questioning the policy and/or practice of increasingly concentrating subsidized housing in low-income urban communities vs. in “high opportunity” (school performance, jobs) suburban communities. This is an important question I think that was not addressed at all in the above criticism. Orfield attempted to base his critique on cost differentials, which I find less persuasive than basic access to opportunity, for which there is significant statistical support (that low-income children who move to higher opportunity areas fare better in life). Thanks for addressing this! Private developers often note their lower per-unit costs but a key reason is that housing built with public dollars necessarily includes requirements such as public bidding that delay projects and drive up costs. It can take years after site acquisition for nonprofits to raise the money to start construction, which also drives up costs. Publicly funded projects also have layers of administrative and review and even project management that private developers can forego. But if anyone proposed cutting back on public oversight to save money for affordable housing, the critics of nonprofit housing would be the first to raise a fuss.